Ida Rauh was born into a prosperous family in New York City. Rauh, a socialist and supporter of women's suffrage, became a lawyer. Her friend, Crystal Eastman, introduced her to Max Eastman in 1907. According to William L. O'Neill: "Ida Rauh, a beautiful and intelligent Jewish woman with a private income, whom Max Eastman had known since first coming to New York. She was rebelling against her bourgeois family and explained the class struggle to him so clearly that he became a socialist." Eastman, a talented journalist, was also persuaded to join the Men's League for Women's Suffrage. Rauh became involved in the Hull House project in Chicago. She met other women interested in trade unionism. This included Jane Addams, Mary McDowell, Alice Hamilton, Florence Kelley and Sophonisba Breckinridge. 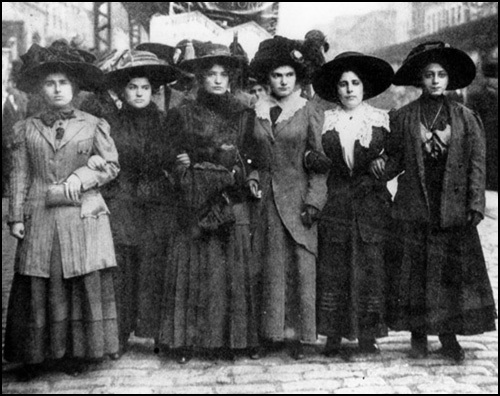 Together the group established the Women's Trade Union League. The main objective of the organization was to educate women about the advantages of trade union membership. It also support women's demands for better working conditions and helped to raise awareness about the exploitation of women workers. The Women's Trade Union League received support from the American Federation of Labour and attracted women concerned with women's suffrage as well as industrial workers wanting to improve their pay and conditions. Early members included Jane Addams, Lillian Wald, Margaret Robins, Leonora O'Reilly, Mary McDowell, Margaret Haley, Helen Marot, Mary Ritter Beard, Rose Schneiderman, Alice Hamilton, Agnes Nestor, Eleanor Roosevelt, Florence Kelley and Sophonisba Breckinridge. 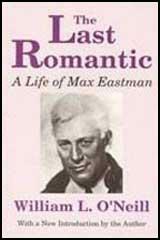 Rauh married Max Eastman on 4th May, 1911 in Patterson, New Jersey. He later recalled that he awoke the next morning seized with terror: "I had lost, in marrying Ida, my irrational joy in life." The author of The Last Romantic (1978), has argued: "Unlike his affectionate mother and sister, Ida was never one to shower people, even her husband, with compliments and attentions. Yet these were necessary to Max's well-being. She was given to periods of indolence and so could not pour vitality into Max's languid nerves as he thought essential." Ida Rauh gave birth to a son, Daniel, on 6th September, 1912. The couple remained active in several radical causes and both appeared in a film, Votes for Women, starring Jane Addams and Anna Howard Shaw. They also both became members of the Socialist Party of America. Max Eastman developed a reputation as an outstanding journalist and in 1912 was invited to become editor of the left-wing magazine, The Masses. Organized like a co-operative, artists and writers who contributed to the journal shared in its management. Other radical writers and artists who joined the team included Floyd Dell, John Reed, William Walling, Crystal Eastman, Sherwood Anderson, Carl Sandburg, Upton Sinclair, Arturo Giovannitti, Michael Gold, Amy Lowell, Louise Bryant, John Sloan, Art Young, Boardman Robinson, Robert Minor, K. R. Chamberlain, Stuart Davis, Lydia Gibson, George Bellows and Maurice Becker. In his first editorial, Eastman argued: "This magazine is owned and published cooperatively by its editors. It has no no dividends to pay, and nobody is trying to make money out of it. A revolutionary and not a reform magazine: a magazine with a sense of humour and no respect for the respectable: frank, arrogant, impertinent, searching for true causes: a magazine directed against rigidity and dogma wherever it is found: printing what is too naked or true for a money-making press: a magazine whose final policy is to do as it pleases and conciliate nobody, not even its readers." part in a demonstration against attempts to stop women joining trade unions. A group of left-wing activists including Ida Rauh, Floyd Dell, John Reed, George Jig Cook, Mary Heaton Vorse, Michael Gold, Susan Glaspell, Hutchins Hapgood, Harry Kemp, Max Eastman, Theodore Dreiser, William Zorach, Neith Boyce and Louise Bryant, who lived in Greenwich Village, often spent their summers in Provincetown is a small seaport in Massachusetts. In 1915 several members of the group established the Provincetown Theatre Group. A shack at the end of the fisherman's wharf was turned into a theatre. Later, other writers such as Eugene O'Neill and Edna St. Vincent Millay joined the group. The play, Suppressed Desires, that George Jig Cook co-wrote with his wife Susan Glaspell, was one of the first plays performed by the group. He also wrote the anti-war play, The Athenian Women during the First World War. Another member of the group, Louise Bryant, wrote: "It was a strange year. Never were so many people in America who wrote or painted or acted ever thrown together in one place." During this period the group also produced Constancy (1915) by Neith Boyce and Enemies (1916) by Hutchins Hapgood. Ida Rauh appeared in several of these productions. Linda Ben-Zvi has argued: "The person who received the most glowing reviews was Ida Rauh, who had developed into the finest actor the Provincetown Players produced. She appeared in thirteen productions in the first two seasons, and was referred to in print as the Duse of MacDougal Street or an American Bernhardt. In life she displayed a similar power and sensuality." In 1916 Ida left Max Eastman. Soon afterwards she began an affair with George Jig Cook. This came to an end in March 1918. Hutchins Hapgood wrote. "Jig and Ida breaking, it is said. Jig is jealous of notices of Ida in the papers - so they say." Ida Rauh, for instance, who would become a leading actor with the Provincetown Players, was also a lawyer who studied with Crystal Eastman at NYU; a birth-control advocate, arrested for distributing pamphlets in Union Square with Margaret Sanger; a socialist, who introduced her future husband, Max Eastman, to Marx and Engel's writings and influenced the direction he would take as editor of The Masses; an accomplished sculptor, who worked with Jo Davidson; as well as a painter and a poet. Other Heterodites were equally talented and diverse. Ida Rauh, a beautiful and intelligent Jewish woman with a private income, whom Max Eastman had known since first coming to New York. She was rebelling against her bourgeois family and explained the class struggle to him so clearly that he became a socialist.... Unlike his affectionate mother and sister, Ida was never one to shower people, even her husband, with compliments and attentions. Yet these were necessary to Max's well-being. She was given to periods of indolence and so could not pour vitality into Max's languid nerves as he thought essential. The person who received the most glowing reviews was Ida Rauh, who had developed into the finest actor the Provincetown Players produced. She appeared in thirteen productions in the first two seasons, and was referred to in print as the Duse of MacDougal Street or an American Bernhardt. In life she displayed a similar power and sensuality. Mabel Dodge described her as "noble-looking, like a lioness.") To her husband, Max Eastman, she was beautiful and mysterious when he first met her - and clinging and dependent when he tried to leave her for a much younger woman in 1916. Dodge tells a different story, describing Ida's joy at the thought of finally being free to face life without Max. Part of this post-Max life included Jig. Just when their affair began is not clear; but by March 1918, it was common gossip among the Players. "Jig and Ida breaking, it is said. Jig is jealous of notices of Ida in the papers - so they say," Hutch wrote to Neith from New York, referring to The Athenian Women, in which his own last-minute takeover of the leading male role brought him negative reviews as opposed to her accolades.